This one is to help you learn how to make games using Python! Have you always wanted to create your own computer game, but weren’t sure how to begin? Are you new to programming and aren’t certain if you’re up to the challenge? Are you a professional programmer who wants to learn how to make a game? Do you want to learn more about game development? Have you been looking for a step-by-step explanation of how to get started? 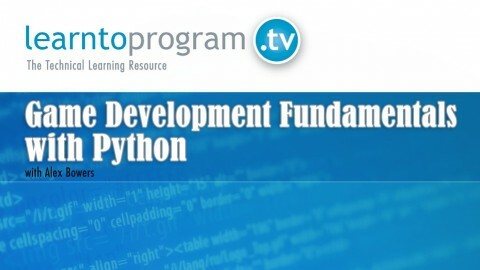 In this fun and comprehensive python game development course, instructor Alex Bowers will show you how to successfully develop your very own computer game with the Python programming language. He will walk you through the programming of a game called “Monster,” in which a monster will chase and try to eat your character! Step-by-step, you will learn how to create a game menu, how to develop your characters and items, how to make your characters move using key commands, and how to input different settings to make your python game programming more challenging and fun! Black Friday Special —> Earn A Passive Income Making Easy Game Apps Without Coding!